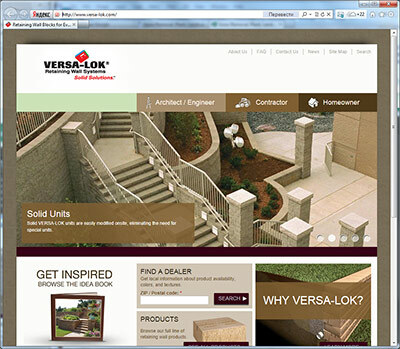 VERSA-LOK has been creating "Solid SolutionsT" for architects, engineers, contractors, and homeowners sInc.e 1987. VERSA-LOK systems are the original solid, pinned segmental retaining walls (SRWs). Quick and easy to install, VERSA-LOK retaining walls offer superior durability and a wealth of design/build options along with a variety of styles and sizes. Whatever your landscape needs, VERSA-LOK has a retaining wall for you.